Birdnow Chevrolet - Monona Chamber & Economic Development, Inc.
Our service & sales departments are open Monday - Friday from 8 a.m. - 6 p.m.; Saturday from 8 a.m. - 3 p.m.; Closed Sundays. ﻿﻿Located just off of U. S. Highway 18 / 52 at Monona's south entrance, we're proud to carry on the over 80-year history of Chevrolet being in Monona. 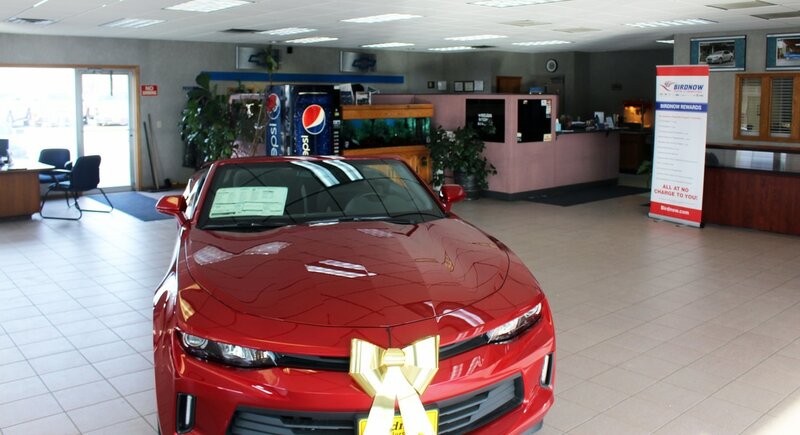 ​As you approach our dealership in Monona, you'll immediately notice it to be one of the nicest facilities you've ever seen, with outstanding service & very fair pricing of new & used vehicles. Stop in and see our selection of new and used vehicles. Birdnow will not only offer you the very best deal on vehicles -- every day -- but also offers you the very best financing package. ​If you give us the opportunity, we will save you money! For your convenience we offer a Courtesy Shuttle, and we will take you home or elsewhere and then come back to get you when your service is done. This is our way to make your service easy. Many customers tell us they enjoy getting to know our friendly, family-like customer service staff and appreciate the same people serving their needs year in and year out. ​Birdnow Chevrolet of Monona employs ASE and master certified technicians in its service department. We promise the very best service -- your vehicle is fixed right -- guaranteed. At Birdnow Dealerships, our highly qualified technicians are here to provide exceptional service in a timely manner. From oil changes to transmission replacements, we are dedicated to maintaining top tier customer service, for both new and pre-owned car buyers! Allow our staff to demonstrate our commitment to excellence. FREE SERVICES . . . That's right . . . we don't charge for any of these services! You've had an accident and your vehicle is damaged. We can advise you on how to most quickly get it repaired and to find out about the other persons insurance. Your vehicle has damage too serious to be repaired. We can see that you get a fair settlement from the insurance if totaled and also help you decide whether or not to fix the vehicle if borderline. Your vehicle has a serious mechanical problem. We might be able to get help in the cost of fixing it from the manufacturer. Sometimes there are special policies for this. You need an appraisal of a vehicle to settle an estate. * Come out today and check out our inventory, competitive pricing, & financing packages from our friendly, courteous team. * Kick the tires & test drive any vehicle you've been anxious to see & feel how it drives with you behind the wheel. * Bring in your vehicle for servicing by one of our many competent, qualified ASE / master certified technicians. Annually in October, we host our "Customer Appreciation" event and look forward to seeing you attend our next one. We value our customers and we like to show our thanks and appreciation to you for giving us the opportunity to serve you and your family over generations. 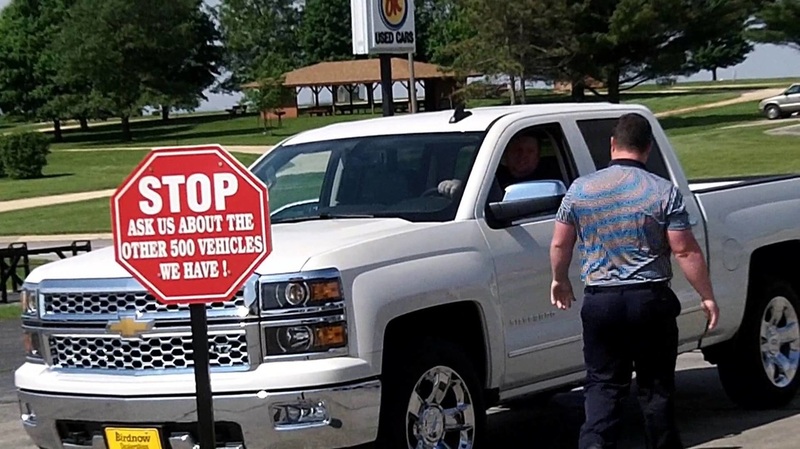 We look forward to meeting you and being your most-trusted, fair-minded Chevrolet dealer around northeast Iowa and southwest Wisconsin.